Super kawaii Japanese magazine model Haruka Kurebayashi with pink hair & silver motorcycle jacket on the street in Harajuku. 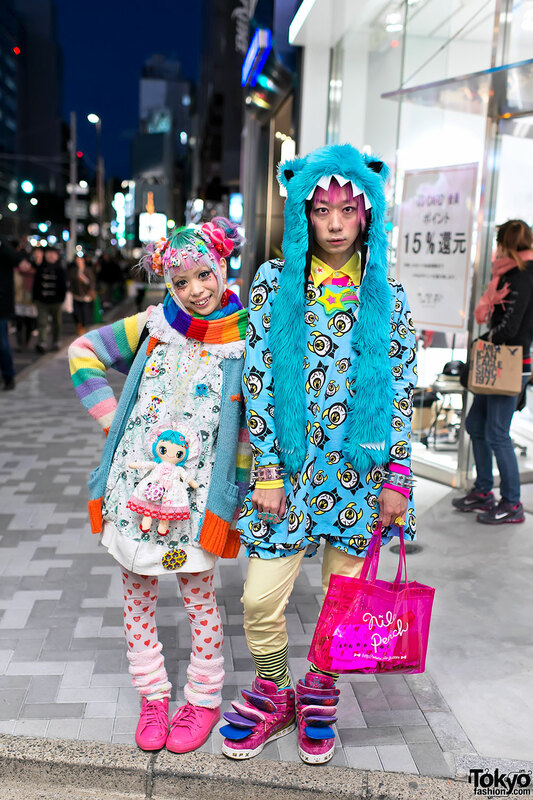 Two icons of Harajuku Kawaii – Kurebayashi and Junnyan – with super colorful fashion and hair. 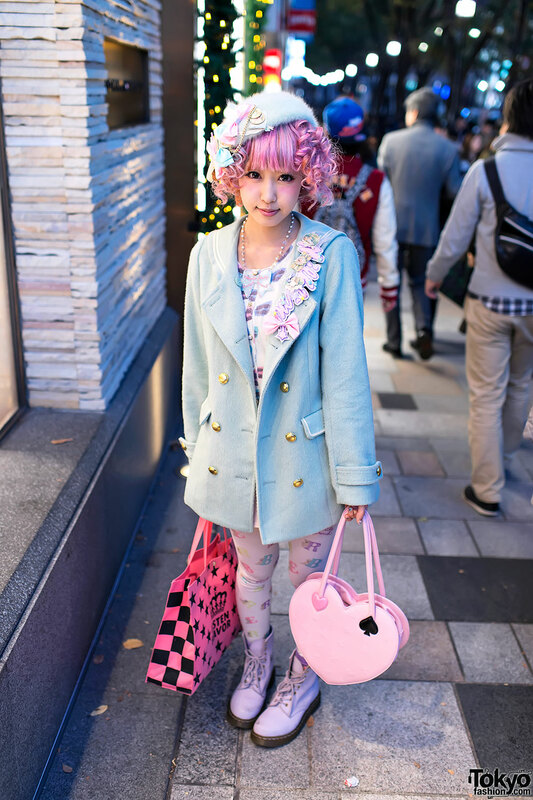 Japanese kawaii model and singer Kimura Yu wearing pastel fashion including Milklim on the street in Harajuku. Super-cute Kera Magazine model and painter Kurebayashi with CHOKiCHOKi model and visual artist Ring Kato street snapped in Harajuku. 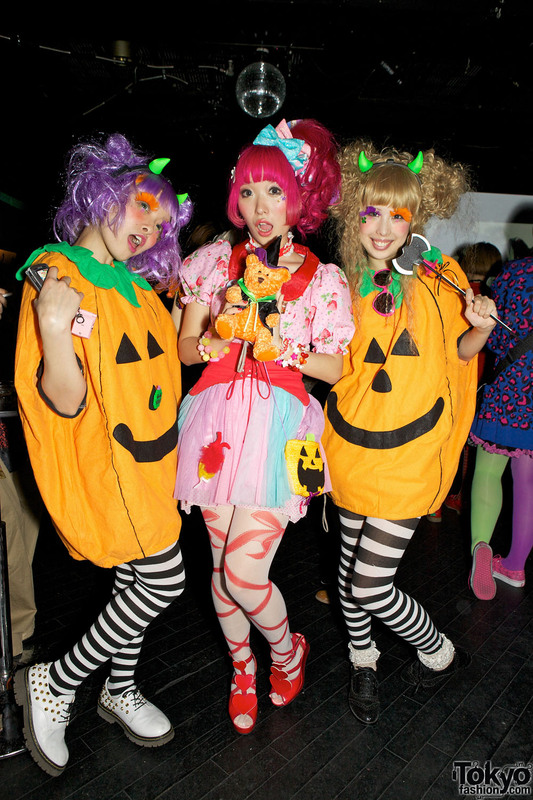 Pictures of the Harajuku Fashion Walk Halloween Party at Milkway Shibuya – featuring live music, DJs, live painting, and fashion shows.